Greetings everyone, hope you are having a good and Godly day. I've been having some fun since my last post which included two card parties and an all day "Beth Moore" simulcast at my church. The card I am posting today was lovingly given to a very special lady named Joyce. She is due to have surgery again in the near future and I'm sure if you said a prayer for her it would be greatly appreciated. This scripture reminds us that we are to "Give thanks to the Lord, for He is good! For His mercy endures forever". What a promise we have that we can trust in His goodness and mercy even when we have trials and tribulations. 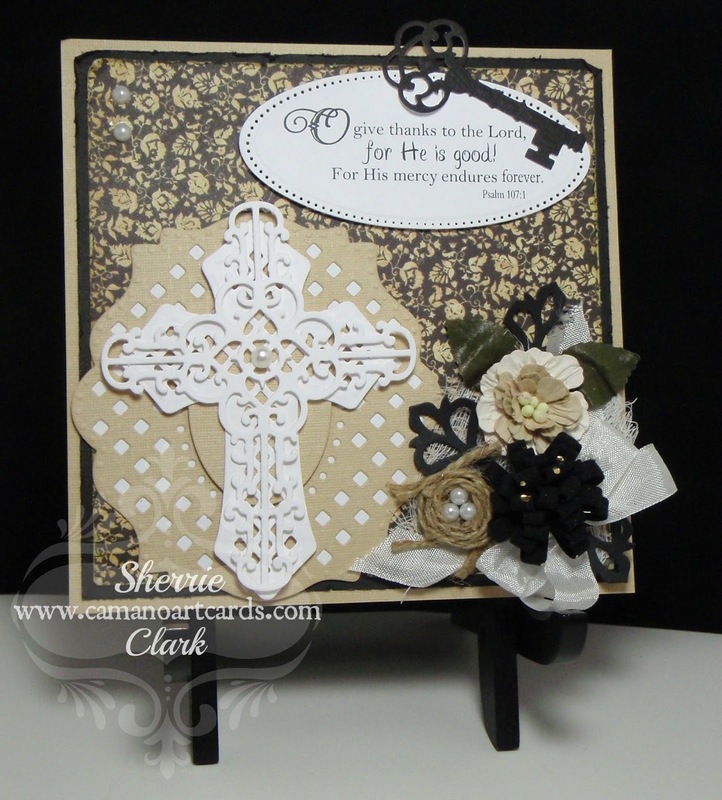 This card was made with Spellbinders Lattice Motifs and Crosses Two. 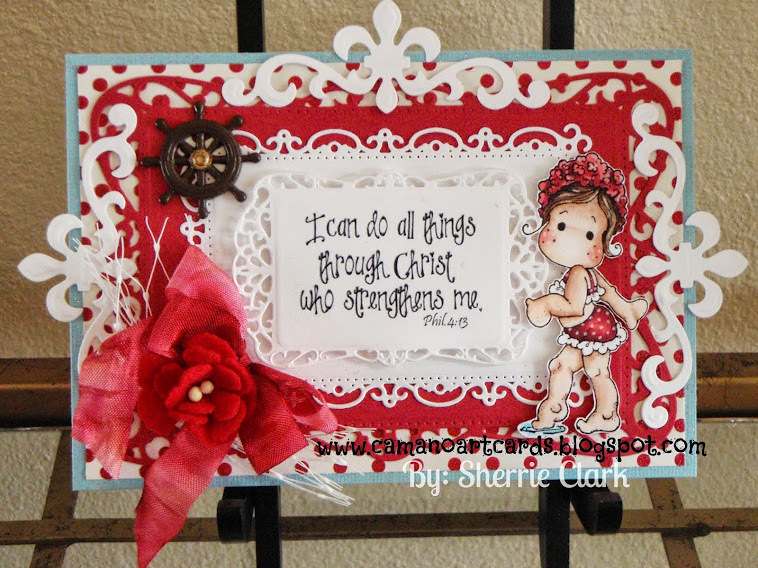 Radiant Rectangles and Jewel Keys were used for the sentiment area and of course the scripture is from Karen's Word Art which I so enjoy using on my cards. Damask Accents make the black leaves around the flowers, I made the small birds nest out of twine and added a few pearls for eggs. 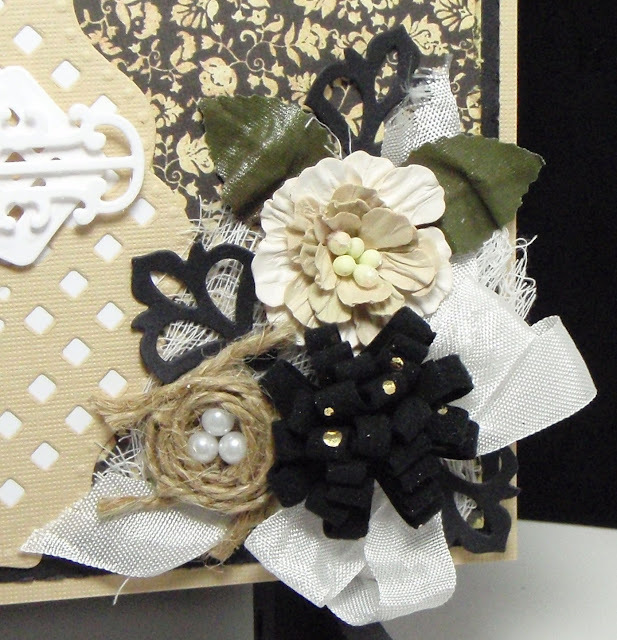 I made the black felt flower and I used Spellbinders Rose Creations to make the cream colored rose. There is also some Hug Snug white ribbon and cheese cloth. Thanks for stopping buy, drop in again. 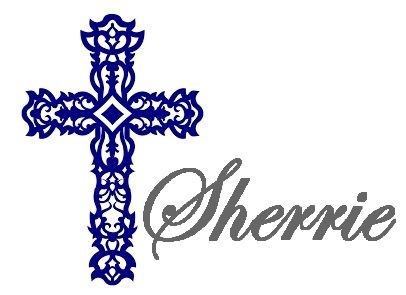 good morning dear sister and thank you for another offering of your faith and GOD's blessing on your life. Each of your cards are so exquisitely original and a labor of sweet love I know! I'll be praying for your friend who shares her love of JESUS with you....may we all 'rejoice' together in the LORD and stay thankful for all things. Praise changes how pain feels! MaryAnne, you bless me so much with all your lovely comments. I thank our God upon every rememberance of YOU!! Currenlty my Pinterest Board has over 40K pins dedicated to card making. Drop by and get inspired. All content, including text and pictures is ©Sherrie Clark 2013 and is intended to be used for personal inspiration only and may not be copied for publication or contest submission. For permission to post or reproduce text, images or creative works please email me. I am happy to have you pin, but please don't share without a link back or my consent. Truly Appreciated! 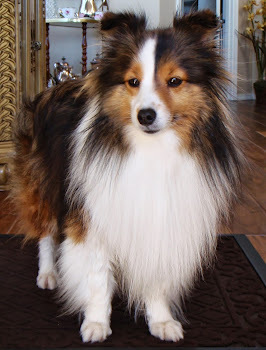 Our Mini Sheltie named "Kissy"
Everything shown here, including text and photos © Sherrie Clark 2013; All rights reserved. Simple theme. Theme images by merrymoonmary. Powered by Blogger.